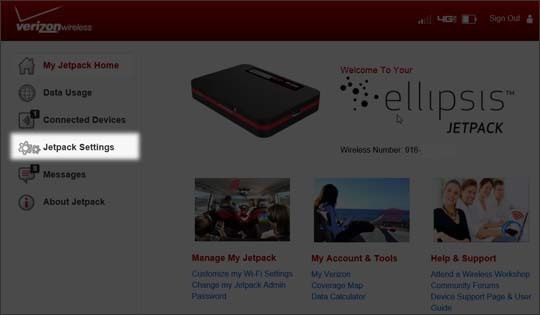 This info applies to changing the password used to connect to your Verizon Jetpack via Wi-Fi, not the Administration Password which is used to log in to the device web interface to manage settings (e.g. network name, network password, etc.). From the Wi-Fi tab, enter the desired password into the Wi-Fi password field. 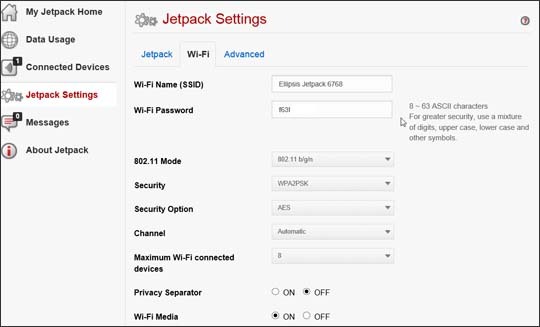 If prompted with "Confirm Wi-Fi Setting Change", click Confirm to continue. Enter the new password on your device (e.g., laptop, tablet, etc.) in order to reconnect to Wi-Fi.